The growing desire for light-colored and even-toned skin, increasing importance given by male consumers towards personal grooming, and demand for organic skin lighteners are some of the key factors driving the global skin lighteners market. Moreover, escalating demand for UV absorbers in skin lightening formulation is a trend that bodes well for the future of skin lighteners market, which on the other hand is challenged by factors such as concerns over excessive usage of hydroquinone and mercury, management of efficient supply chain, and packaging solutions. As far as the competitive landscape of the global skin lighteners market is concerned, L'Oréal, P&G, Unilever, Beiersdorf, Estée Lauder, and Shiseido are some of the leading companies who hold most prominent shares in an intensely competitive environment. Product innovation and aggressive marketing are two of the primary strategies adopted by these leading companies to reach their targeted consumer. On the other hand, the entrance of new players is quite tough in the global skin lighteners market as leading brands have widespread presence as well as the financial might to research and develop new products on a consistent basis. 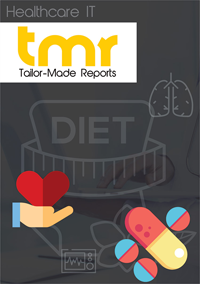 This report on the global skin lighteners market provides comprehensive assessment of the current scenario and estimates the future state until 2025. The report takes stock of the key regions for skin lighteners market, especially Asia Pacific which resides vastly populated country of India wherein the demand for light-toned skin has escalated exponentially in the recent past, both among the men and women. The global skin lighteners market is characterized by stiff competition, wherein the prominent vendors try to outdo each other on the basis of product differentiation, quality, and pricing. The entry barrier to the market, however, is stiff on account of the stronghold of the existing leading players and high cost of research and development. The global market for skin lighteners is expected to grow at a healthy clip on account of a growing desire among people to have radiant and flawless skin. Their usefulness in tackling skin-related concerns such as scars, pigmentation, discoloration, acne marks, and age spots has been positively impacting their market. Skin lighteners also aid in the treatment of medical conditions such as vitiligo, hyperpigmentation, melasma, and rosacea. This has further stoked their demand. Strong competition among leading vendors in the market has led to frequent unveiling of innovative products. Another noticeable trend in the market is the use of plant extracts such as aloe vera, green tea extracts, marine algae extract, grape seed extract, mulberry extract, flavonoids, etc. in formulating products because of the rising ranks of discerning consumers preferring natural ingredients. Such plant extract-based skin lighteners aid in lowering melanin production and increase collagen production, thereby making the skin healthy and spot-free. One factor discouraging the growth in the market is the presence of certain active ingredients, namely skin lighteners and hydroquinone in skin lighteners which can cause harm to the skin. In fact, hydroquinone is already banned in some countries or can be had only if prescribed by a dermatologist. North America leads the global skin lighteners market with maximum share and Europe follows next. This is mainly because of the strong spending capacity of the people, awareness about skin whiteners, an advanced healthcare infrastructure, and a proper regulatory framework in place. Asia Pacific is also considered a lucrative market for skin lighteners because of a strong desire among people in the region for a lighter skin tone, increasing disposable income, and a fast developing healthcare infrastructure. India and China are frontrunners in the market in Asia Pacific by dint of their huge population and growing awareness among them about the various skin lighteners in the market. Japan too is a key market in the region because of its improving healthcare infrastructure. Some of the key players in the global market for skin lighteners are Beiersdorf AG, Clarins SA, CavinKare Pvt. Ltd., Elder Health Care Ltd., Hindustan Unilever Ltd, Kao Corporation, Emami Limited, Procter & Gamble, Shiseido Company Limited, and Jolen Inc.